I hope spring has sprung where you are, and you are out and about taking great pictures of spring flowers and life! I have been home re-cooping from knee surgery, so I haven’t been able to get out as much as I wanted to enjoy the wonderful weather in the high desert of Southern California. While I have been home and realize there is nothing on day time television, I broke out some old photos and decided to start scanning. One of the years I scanned was 1977. Time and not been good to these photos. Stuck in photo albums with plastic over the page, to “protect” them, kind of faded them. And some had tears, scratches and who knows what on them. 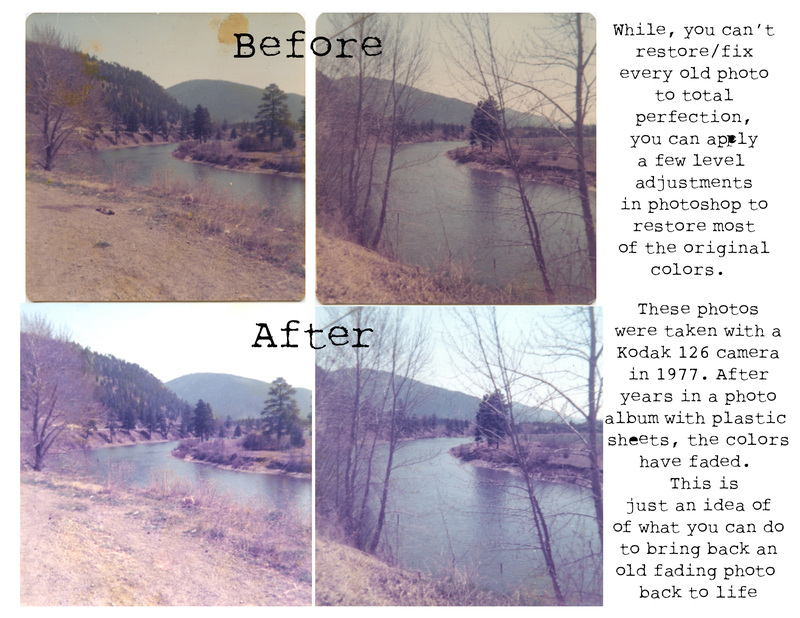 While you can restore a photograph to near perfection with lots of tips and tricks, I have a few tips and tricks that can help you with the basic color restoration. 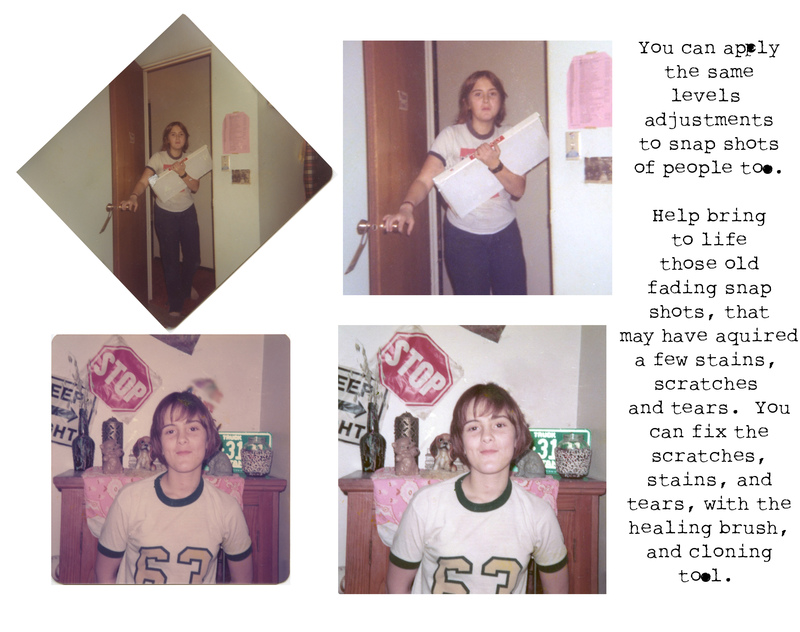 I was lucky enough to take an online photo restoration class. I love restoration, but it sure can be time consuming. In these photos the adjustments were all the same. Once the Levels Adjustment box is open; choose the drop down arrow where it says RGB. Once you have this open, move the slider to the left just to the beginning of where the red begins to show on your photo. Once you have finished the red, repeat the steps with the Green and the Blue. Once you do the blue, most of the colors will be back to almost original. After playing with this for awhile, it will become easier than you thought to bring colors back to some of the old photos you thought you wouldn’t be able to save. When the color has been corrected, you can then play with the clone tool, spot healing brush and the patch tool (under the healing brush tab). To fix any tears and scratches or other colors. I didn’t spend hours on these two photos, but I was able to accomplish what I wanted. A brighter photo with some basic restoration applied. Hope you may have learned a little something with this tip. I am sure there are a zillion ways to do the same thing I just mentioned. Do what you are comfortable with!!! Hey… That’s Tracy Lynn in those ole photos! Hi Redhead!